The exhibition VERSEREVERSE delves into the laws and principles which governs international peace process talks and its efforts for national socio-economic reforms. 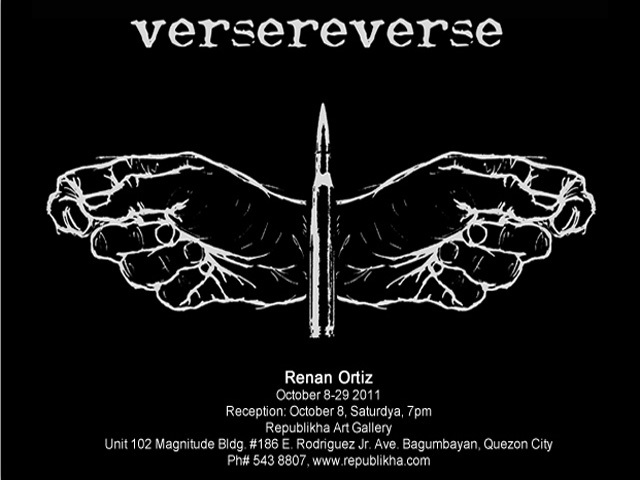 Renan Ortiz’s recent project evokes where post-colonial history has materialized into a greater impending problem. He investigates the written law as he investigates poetry: both being a compound of words, which are products of, and eventually, the basis of human action and deed. VERSEREVERSE is the first exhibition of a program by plantingrice.com entitled SPROUT, a four-part project that explores curatorial contributions to shared but contested artistic communities.